Marine Engineering College, Dalian Maritime University, Dalian, 116026, China. Dynamic pressure oil film bearing is an important mechanical component of the ship. With the development of large-sized ships, their dynamic pressure oil films often run at high speed and under heavy load generating high oil film pressure. In addition, due to the increased use of thin walled bearing shell with materials of low elastic modulus, the elastic deformation of the bearing shell which is in dynamic pressure oil film bearing cannot be ignored. During computation, if the effect of elastic deformation on the performance of dynamic pressure oil film bearing is ignored as is usually the practice, the difference between the theoretical and the actual results will be enormous. Therefore, this article has taken the effect of bearing shell's elastic deformation on bearing performance as the research target. A coupling algorithm program in Matlab is written to simulate and solve the oil film bearing dynamic pressure lubrication theory, considering elastic deformation of bearing shell in a way that is more aligned with the actual working conditions. 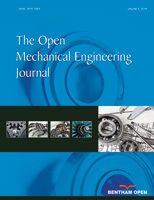 A comparison is conducted between the above results and the results with no consideration of elastic deformation and the process and regularity of the effect of elastic deformation and other factors on the performance of oil film bearing shell in operation under dynamic lubrication are analyzed. Therefore, more accurate theoretical basis can be provided for the design and fault diagnosis of dynamic pressure oil film bearing of the ships.